The PPSQ-31B/33B continues the tradition of providing reliable and sensitive N-terminal protein sequencing to researchers through automated Edman Degradation. 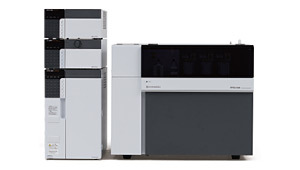 Whether transitioning over from another sequencer or adopting the technique for the first time, the intuitive software and robust Shimadzu hardware will make protein sequencing easy on your laboratory. Performing PTH-amino acid analysis in an isocratic mode in which eluents are recycled to allow repeated use of the mobile phase makes it possible to reduce liquid waste and running costs. 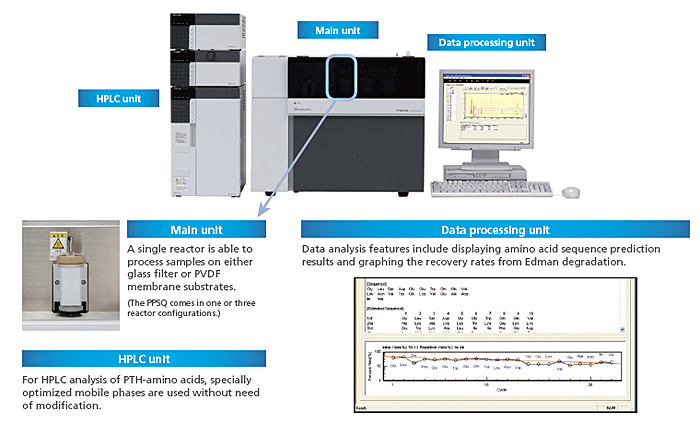 Specialized protein sequencer software incorporating control functions for the reaction unit and HPLC analysis unit makes it easy to perform sequence analysis.